There are 91 posts in this topic. You are on page 2 of 2. RobT....Holy cow dude, calm down. Have you researched millwax or been to it's site? It says right on the bottle "Pinball Playfield Wax and Cleaner". Do any car wax products say they are designed for pinball machines? Maybe you could tell me where car wax products actually do say "designed for pinball machines as well". "Mill Wax-- trusted by Operators and Pinball Collectors since 1976..."
If you've missed posts where people discuss what they believe Millwax does to playfields then go look them up yourself. Why do I have to repost something you've missed? Your quote..."I'm willing to bet that this company simply had one of the car wax companies put one of their formulas into a bottle labeled Millwax "especially made for pinball machines". I don't know about betting but it looks like your ready to speculate that Millwax is also engaged in a relabeling practice. Sheesh. Wow, talk about completely missing the point! All you have done here is repeated the assertion that you already made...Millwax "is especially made for pinball machines". So apparently this means that it is the best product for pins, and car wax is a no-no? Really? Again, please tell me what is so special about Millwax that makes it specifically designed for pinball playfields, and what does it due that a car wax or cleaner can't? Please don't repeat yourself (again) by saying "well, it is specifically designed for pinball machines". As far as the re-labeling stuff, that happens all the time. Nothing unusual about it at all. I doubt that the Millwax company (or company that owns them) does nothing but formulate and produce Millwax. Rob just go to the Millwax site and look it up yourself. Just to clarify further: On the front label of Mill Wax bottle is says pinball playfield wax & cleaner. And on the back side instructions it says to use a soft clean cloth and apply to surface of playfield or chrome. It actually does not say to use it on playfield plastic posts or playfield plastics. Thus, to me, if there is a long term problem with Mill Wax deteriorating plastic playfield posts, then the playfield should first be stripped (remove plastics, posts, rubber rings, bulbs, etc. ), so you can do a better job cleaning/waxing the playfield and avoid getting the liquid Mill Wax on the playfield posts. I guess if you are in a hurry, you can just apply it in the more open high wear areas of the playfield and just stay clear of the plastic posts. I've got a bottle of it, but never used it, that I bought around yr 2005. Novus 2 & carnuba wax seems like a good way to go for playfields. Thanks for all the good posts. Have a great weekend. 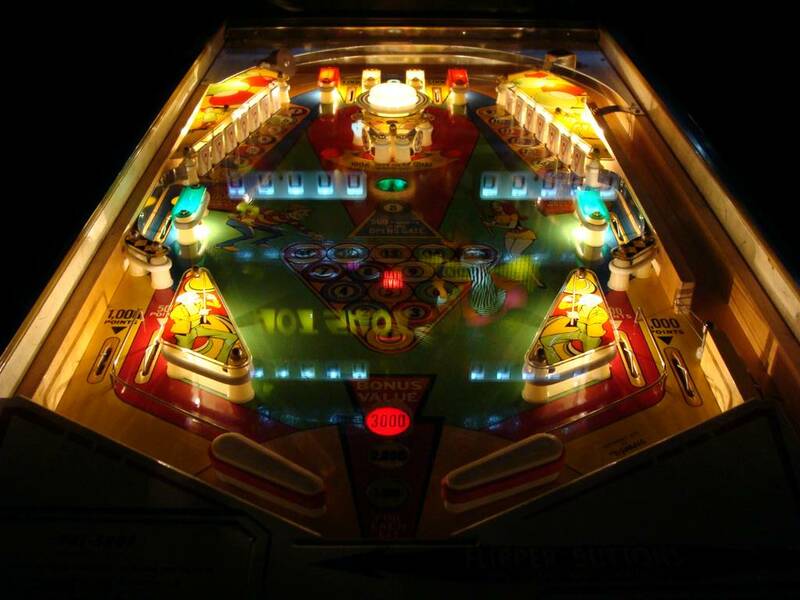 the playfield should first be stripped (remove plastics, posts, rubber rings, bulbs, etc. ), so you can do a better job cleaning/waxing the playfield and avoid getting the liquid Mill Wax on the playfield posts. That stuff is even too strong for the bottle it comes in, drop a bottle that's more than a year or so old, it shatters. Squeeze an old bottle too hard, it shatters. If it eats through the bottle, why would I put it on my pins? 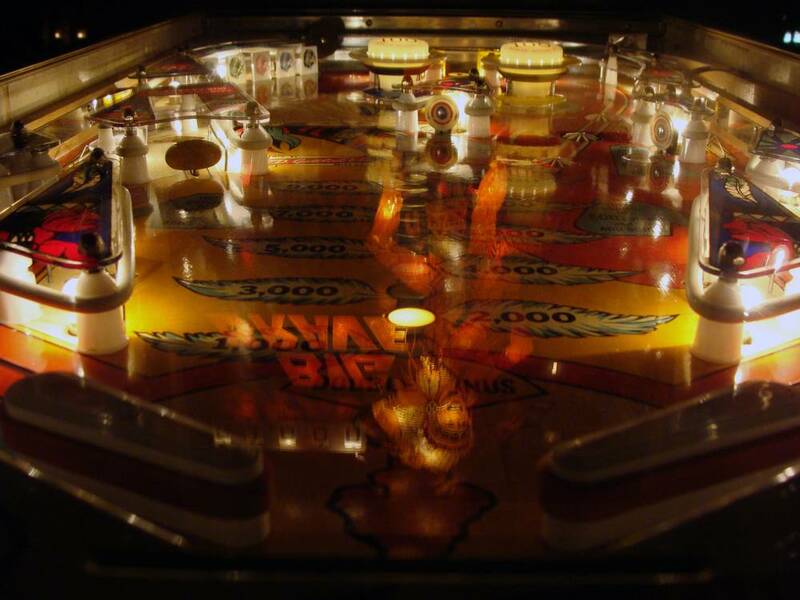 For the record, I sold a pinball machine to John Buegel, the owner of Mill Amusements in 2009. John had recently purchased the company and asked if I had a bottle of Mills Wax. I told him that I did and he asked to see it. When he saw that is was in the older white bottle he explained that they had issues with the plastic used in the older packaging and promptly exchanged it for a new bottle which was black in color. After 3 years this bottle is still like new. I've seen this topic brought up on a regular basis and thought it warranted further investigation. I found that Kerosene is incompatible with Polycarbonates and some other plastics to a lessor degree. The Cole-Parmer Chemical Compatability Database lists a compatibility rating D, severe effect, not recommended for ANY use. knowing that I would avoid use on ramps and plastics unless I knew their composition and Kerosene compatibility. Aliphatic Hydrocarbons - That's a broad term that classifies many compounds, but most of which are 'enes'...IE, acetylene, ethylene, isooctane. What do these all have in common? Highly flammable solvents as are most hydrocarbons. But aliphatic hydrocarbons have been tested to be milder than aromatic hydrocarbons on plastics, so that's a good thing. Kerosene - petroleum distillate. Right on the bottle. Kerosene will dissolve many plastics in a matter of a couple of weeks. Amorphous Silica - Used as an Abrasive....That's where the cleaning benefit comes from coupled with the solvents. But certainly no wax. Dimethlypolysiloxane - This is silicone. It was used to make silly putty. Now commonly used as a food additive for anti-foaming. A poor wax substitute, and as mentioned previously, don't want it on your playfield if you ever want to clear coat it in the future. I don't care if they made Millwax specifically for pins or not. IMO cleaning the field first then follow up with a paste carnauba wax (with no cleaners in it) will get the best looking results and protection. Ive tried both ways and this is just my opinion on it. Mill Wax is OK. Personally, once the playfield is good and clean, I just use Novus #1 on the playfield. I know this will get some "oh no's", but it's been working great for me for 10 years. so, if I wanted to switch to regular wax... having a base already built up of milwax... are there any steps I should take? Or, they're just old EM's, so it really don't matter and I'm putting way to much thought into it? Is it possible to get this thread "stickied"? The millwax question gets asked and answered every other month, is it me or is this one of the most commonly asked questions when it comes to what wax to use? see if you like it? I've used Mill Wax for years without problems. I wouldn't, however, use Novus on a regular basis. #2 and #3 are slightly abrasive. Using it to get some deep down grime on a rare occasion, maybe. And to the person that complained about build up on posts, if this is happening with ANY cleaner / wax, you're using to much at a time! put a small amount on a cloth and start in a clear are and work outwards. And if you do end up with some on a post or other part, take a soft tooth-brush and gently brush it off. It's really that simple. That is why they work, they finely polish the surface, removing small scratches. I agree, you should not use Novus2 often, use wax to clean up the play field. I use Novus2 in two or three applications depending on how hazed the play field is on the initial shop and clean, followed up with several coats of wax applied with a detail ball on my cordless drill and removed by hand. After that it only requires a bit of wax on a soft cloth to follow up and remove dirt build up from use. Looks amazing, plays amazing. Well I had the pleasure of speaking to John, the owner of the millwax company recently and I can tell you for a fact he uses this product on all his machines and has for years. Granted he is mainly an EM guy but does have a few SS machines, I believe he mentioned Elvira and the PM was his newest machine. Not disputing anything said here but John is a stand up guy and I doubt he would sell a product for pinball machines if he had any formal complaints of his product damaging someones machine. I completely agree with the statement that Novus 2 should *not* be used on a regular basis to clean a playfield. I don't have any experience with Millwax as I'm new to this hobby myself. I have for some time seen a pattern in the "consensus" about Millwax, though. It's generally bashed all the time. I recognise this phenomenon from one of my other hobbies, where I have a lot of experience over many years - model airplanes. That's also a hobby that attracts a lot of strange people with different backgrounds. A lot of people in that hobby develop religious beliefs about various things, for instance what brands of fuel are good and which ones are bad. More than 9 out of 10 times you hear convincing testimony that the fuel you use is very bad for your engines, it comes from people who have never used it. They've heard from "somebody" that it's bad, and from then on it is that. Bad. Nothing can convince them that it works okay for you. After a while you realize that there are very few people worth listening to. You'll find that if you have a question about propellers, this guy can give you expert advice. If you have a question about a certain motor, that guy knows a lot. And a lot of the time you're better off going with your gut feeling and just finding out for yourself. Ask yourself two questions if you are really interested in this. 1) The very popular pinball parts store Pinball Life sells this wax. In fact, it's the only playfield wax they sell. How come ? 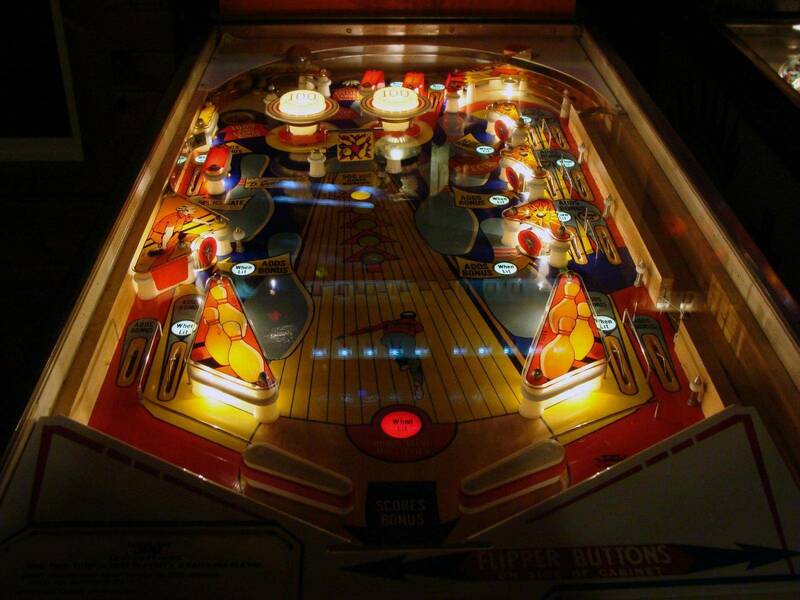 2) Seeing how "everybody" is so upset with this product, how come nobody takes a piss at Pinball Life for selling it ? I'm going to use Mill Wax for polishing my playfield. Because they have a contract with the company, has a "pinball" name on it, and it sells. Why not just use a pure hardwax like Carnuba? Actually, you shouldn't use wax to clean. Do you wash your car every time it's dirty, or use wax on it? After my initial shop where I use Novus2 then multiple coats of wax, a dry rag will remove any dirt because it is on the surface of the wax not the surface of the PF. I use a dab of wax to restore and maintain the shine at the same time. Takes only a few minutes and the results are amazing and long lasting. But using Novus (especially #3) will remove paint or fog surfaces by itself. It's not a cleaner or wax, it's a polish (As in buffing rouge). Correct, Novus3 is a Heavy Scratch remover. I have only used it on two things, very hazed Mylar and polishing balls in the tumbler, makes balls shine like mirrors. Use as the directions indicate, straight lines not circles, follow up with Novus2. I have used Millwax, it really did, almost nothing, Novus2 and Carnuba (which cost about as much together as one bottle of Millwax) do a better job in my experience. I have used the Treasure Trove polish kit before, it is amazing. Everyone has different experiences and results. Better products will come out in the future I am sure, in the end it is up to you to use, judge and choose what products are best for you. Carnuba do a better job in my experience. I plan to use Novus 2 and Millwax. Novus 2 for the tougher dirt, Millwax for the lighter cleaning and polishing. Well you just can't argue with logic like this now, can we?! I love Pinball Life and order from them all the time. Doesn't mean that everything that they sell is the best for the job. This should be obvious. I ordered a soldering iron from them. It is the only one they offered. Honestly, I would have been better off just buying one from Harbor Freight. Their soldering iron works, but it isn't the best, and probably not even the best for the price. There could be a million different reasons they sell Millwax, but the mere fact that they do should not be reason enough for you to buy it. Several of them offer no alternatives. I guess they're in a conspiracy to destroy all their customers' machines. I use Meguiars NXT. It is a High Tech polymer. No residue when you wipe it off. No hard buffing with your hands to get it off either...simply wipes off. Super shine and it is safe for clearcoats I am told. Do not use it on anything else unless you check first! I have only been in pinball ownership for about a year. I came up with the NXT idea myself since I use it on cars. I am so happy with it on my pins and my pinball bud/expert/friend cannot believe the shine and concealment of scratches on my playfields. So have you gone to the Millwax website yet? Have you contacted the owner because you've just made a definitive statement. Remember... if your erection lasts for more than 4 hours, discontinue use of Millwax and consult your physician. Careful with your quotes there, RobT didn't write that - I did. And I was being sarcastic. Like I said earlier, I plan to use Millwax (and Novus 2) myself. Anyway, I am not picking sides on this Millwax debate...whatever. Each is own. I use NXT and don't see that changing anytime soon (unless I buy a laquer finish pin machine I guess, a non-clearcoat playfield...then yeah, need something new). Pin_Crazed said:girloveswaffles said:I wouldn't, however, use Novus on a regular basis. #2 and #3 are slightly abrasive. Using it to get some deep down grime on a rare occasion, maybe. Years ago I was told this by a WMS technician. I was also told that you can use light detergents, or even soap and water (lightly applied with a rag) to clean newer play-fields ( specifically clear coated ones) as long as nothing containing Ammonia is used. Removes heavy scratches and abrasions from most acrylic surfaces. Contains abrasives. Not for use on eyeglasses, polycabonate, or coated plastics." Yes. Novus CONTAINS ABRASIVES! Would you also use an emery cloth to clean your play-field? This is why you shouldn't use it on a regular basis. Not that anyone is interested but if so. I went through this wax thing with madness. Switched to collinate and the others are cheese. I can get the # if anyone is interested. TunaSled said:Remember... if your erection lasts for more than 4 hours, discontinue use of Millwax and consult your physician. Thanks, but the tilt warnings show that the Millwax reps are alive, well and watching this thread. Come on, it implies that Millwax is a turn-on! Lighten up! I agree that we should be careful when it comes to bashing someone's small business. I have had people tell me Millwax is no good. I use it on my machines and I am very happy with the outcome. It IS recommended by Kamoroff, who I have a ton of respect for, The Pinball Resource not only sells it, but recommends it as "their favorite" product for pinball playfields. My own personal experience, plus the recommendation of a long time pinball restoration expert like Kamoroff (Pinball Maitenance Guide) and the expert folks at PB Resource is all I need to know to be satisfied. To all those who have said, as we move along we find better ways or better products. Moving forward doesn't ALWAYS mean we find better products, sometimes we dupe ourselves or talk ourselves out of stuff. People who have used Millwax on many machines for many years and love it cannot all be wrong. PS - Keep in mind one more thing. It was stated earlier in this post that there is Mill Wax and then there is Millwax made for pinball machines. The latter is I believe a home wood or furniture polish, the second is made for pinball machines. I can't help but to wonder if some confusion over the years has caused people to purchase the wrong item and then report that Millwax has melted their brain and killed their family. Maybe they were using the wrong one. Who knows? That's my entire take on Millwax for what it's worth. I think the **hate** for Millwax comes from playfield restorers. Because it is a silicone suspended in solvent, it often makes fisheyes in the clearcoat, no matter how much you thought you cleaned the playfield. This makes for extra work, lol. I've met John, the owner of Millmax. He is a pinhead and would not sell a product that would harm a pin. He is a great guy, owns quite a few EMs. I belive vid is right the restorers hate Millwax, I have heard cfh voice his opinion on this matter. I think it is good stuff and have heard a lot of pros and cons about this product. If you don't like it, don't use it. Firkin simple. I use it on everything, plastics chrome, balls etc etc, especially the shooter rod and WOW. plays like a demon and looks like an angel. I love the Mill wax, I use it on ALL of my em's . I would not say it has ever done any damage to my playfields or plastics. I agree that a nice pure carnauba does a nice job as well I wholeheartedly stand by and would recommend Mill wax to other pinheads. I can only speak for my use of this product on my EM's and early SS pin. Mill wax has always worked well for me but as always to each their own,use what make you happy. I began to use Mill Wax a few years ago before I read negative comments here and didn't know any better. Does what it is suppose to do with no negative results.